During the recent EA Play and E3, a lot of information was dropped on Madden 18 -- and much of that revolved around their new story mode, Longshot. 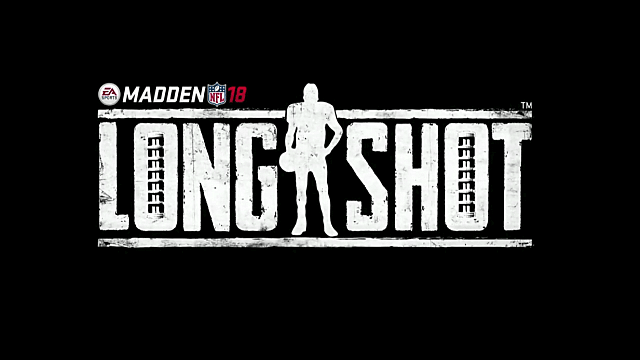 Longshot sounds like the Madden equivalent of the NBA 2K series' MyCareer mode, and it's already getting a lot of mixed feedback from dedicated Madden fans. 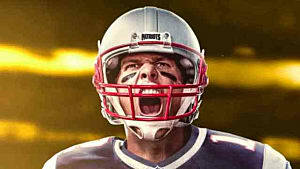 As a big Madden player myself, I took away more negatives than positives from the trailer and reveal information. Madden, and sports games in general, are shifting further and further away from rich and fluid gameplay to cater more towards visuals. Is that what us sports fans play for? I personally don't, I think EA is making a mistake with Longshot. It's advertised as "a movie you can play." If I want a movie, I watch a movie. If I want an engaging gameplay experience, I play a video game. The sports genre of video games is similar to first-person shooters in the way that the core elements of it are always going to be the same, and it provides infinite replayability. 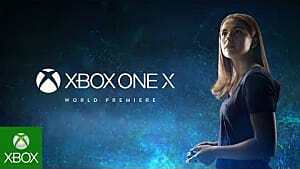 As consoles get more beefy, we're able to push out visuals so realistic that developers really want to push their limits and show off that processing power with cinematics. You can do that without creating an entire story mode where the gameplay comes secondary. There are dozens of great football movies out there. 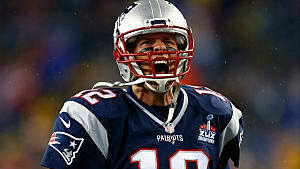 I play Madden to play a football game -- and if I wanted a great sports movie then I'd go rewatch Remember the Titans. You never play a single NFL game. 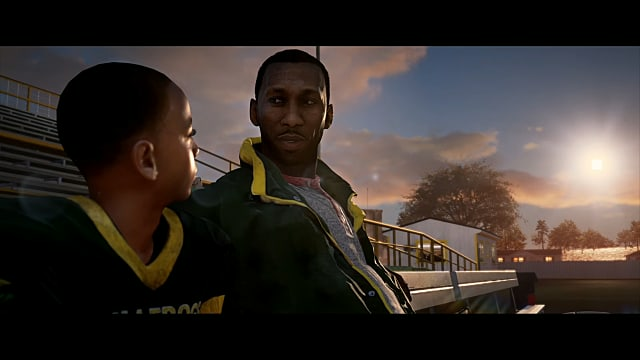 Devin Wade, the main protagonist, never gets into a single NFL game in this campaign mode. You play through high school, Pop Warner, and college football...but never the NFL. It's almost like an appetizer. But isn't Madden 18 an NFL game? Even worse, some of the games you do play at these levels of non-professional football are segmented or cut short. It sounds like these are going to play out as brief pauses between cinematics and decision prompts. That doesn't sound like much fun to me. The storyline is boring, predictable, and cliché. Devin is a former NFL prospect who gave up on his football dream long ago but has rediscovered it. He goes through conflicts with his friends and family. Devin is an African American, so they weave in how it'll be tough for him to make the NFL (as he's a quarterback, and only five of 32 NFL teams are starting a black quarterback). He's got a lot of emotional baggage, etc. It's literally the exact same storyline as I remember from NBA 2K17's MyCareer mode. Nothing is new or interesting here. You can predict what's going to come next. There's a set path with a few forks in the road. It's not a fresh experience for people who've played other campaign modes or watched basically any sports movie ever. I touched on this a little earlier in the article, but you don't get to create your own character in this game mode. Once you play through it a single time, you're done. There are decisions that the player can make along the way, but it's going to change such a small fraction of what happens in the story that it's not worth investing the hours to play through it again just to see what happens. I'm not even the type to watch the same movie twice, so maybe my opinion is a bit biased. But EA seems to have invested a lot of time into something that's going to provide the end user only a few hours of enjoyment at best. Other sports games are doing story modes better. FIFA 17's The Journey story mode was praised by fans of the game. Developers at EA are claiming that Longshot is similar the The Journey, just more cinematic. That being said, anyone who's played The Journey knows exactly what to expect. 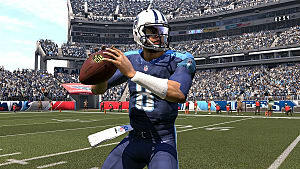 FIFA did it first, so why isn't Madden innovating? MLB 17's Road to the Show game mode also did it much better than what EA has presented to us. It really focuses in on developing your character and controlling the progression of your career. It does come with cinematics and narration, but doesn't play like a movie. You might create a shortstop, and by the end of this campaign mode you'll be playing an entirely different position. It's almost like a sports RPG. 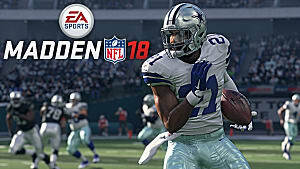 I wish Madden had gone in this direction. More focus on a story mode means less focus on their core gameplay. I'm all for this Longshot mode if it was the cherry on top, being that I'm not forced to play it, but I really hope that EA has fixed and improved upon their gaffs from Madden '17. Can we play the Pro Bowl now? Is there league expansion? Can we import draft classes? Do we have a draft board? Is it easier to put backups in? 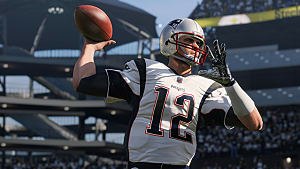 There are so many things that Madden could be improving on for this year's game, but I feel like Longshot is the focal point based on how they've pitched it. I care about the NFL gameplay experience. 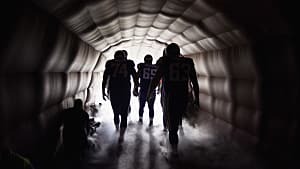 EA has already stated the "door is open" for a sequel in Madden '19. "[For it to continue in future years] we have to have success, and the fans have to say they want it. Imagine this is the pilot. If the fans love it, I would love nothing more than to continue these characters. That being said, it was written in a way that this feels like a complete journey, like how Rocky 1 could have been a one-and-done movie. But I do believe Devin and Colt have more stories in them, and I’ve been working on that just in case. You never know." Let's never compare a Madden campaign mode to the Rocky series again. It's up to us as players to give EA the proper feedback about this game mode. Maybe it'll be playable and a few hours of fun, but we've got to keep them on track with bettering the true Madden experience. 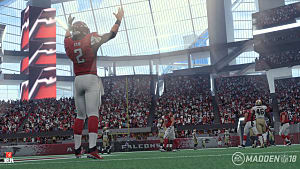 How do you feel about the direction that the Madden series is going with their new story mode? Do you think it's going to take away from the gameplay experience we all know and love? Leave me a comment below and let me know!